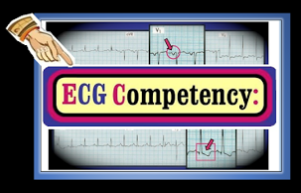 A frequent question that arises is, “How best to use (or not use) the computerized ECG interpretation?” Opinions vary. We feel the answer depends on the goals and experience level of the interpreter. Computerized ECG analysis systems are not infallible. 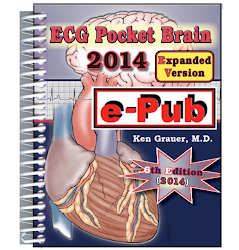 Although they clearly have merit in certain regards — they are far from perfect at ECG interpretation. Our task is to appreciate the positives of computer systems while being aware of their drawbacks. Computerized systems excel at computing values. This is because that’s what computers do. As a result — computerized systems are extremely accurate in calculating: i) Rate; ii) Intervals (PR/QRS/QT intervals); and iii) Axis. Computerized systems are usually reliable in recognizing sinus rhythm mechanisms and normal tracings. For the Expert Interpreter — the best feature of computerized systems is that they save time! There is no longer need to calculate rate, intervals or axis — since the computer instantly provides legible and accurate print-out of these values. IF the computer says, “Normal ECG” — it may literally take no more than 2-3 seconds for an experienced interpreter to peruse the tracing and sign the report (provided there is agreement with the computer interpretation). For the Non-Expert Interpreter — the major benefit of computerized systems is the backup opinion the system provides. The computer may suggest findings not initially thought of by a less experienced interpreter. This encourages more careful, targeted review of the tracing. It may also be educational by the suggestions it makes. Finally — confidence is boosted when computer analysis agrees with the clinician’s interpretation. NOTE: The computer backup opinion may also help the expert-in-a-hurry by reducing the chance that any ECG findings will be overlooked. Interpretation of any one ECG by an expert provided with: i) a moment of time to sit down and give full attention to interpretation; and ii) the clinical history — will always be superior to interpretation by a machine. That said — this is not reality. Reality in the “real world” — is that the clinician assigned to interpret all tracings on a given hospital or ambulatory service usually has limited time to interpret a large number of ECGs and is often asked to do so without the benefit of clinical history. As a result — it becomes easy for even an expert interpreter to overlook certain findings on occasional tracings. Knowing how to use the computerized interpretation as a “backup opinion” can be invaluable even for the most experienced of interpreters! (Grauer, Nelson, Marriott et al: J Am Bd Fam Prac 1:17-24, 1989). CAVEATS (What the Computer May Miss): Computerized systems do not do nearly as well in evaluation of abnormal tracings as they do in assessing ECGs with minimal abnormalities. The more complex the abnormal ECG is — the more difficult it becomes for a computerized system to render an entirely accurate interpretation. Computerized systems are far less accurate interpreting rhythms that do not have a sinus mechanism. They may miss subtle infarctions. They tend to overinterpret the J-point ST elevation that is commonly seen with early repolarization patterns. As a result — computerized systems may be prone to mislabel these normal variants as “acute MI”. Computerized systems may miss pacemaker spikes/WPW/tall R in V1. They are unlikely to appreciate certain clinical entities such as Wellens’ syndrome or DeWinter T waves. 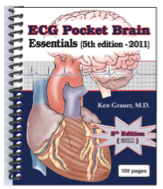 Many hospitals do not utilize special computer programs for interpretation of ECGs obtained on pediatric patients. Obvious problems with interpretation will arise IF a pediatric ECG is interpreted by a computer program using adult criteria. Finally — computerized systems by definition lack the “human Gestalt” by an expert of the overall tracing. The most important point to emphasize in this Section — is that clinical use of the computerized report by non-expert interpreters should be very different than use of this same report by the expert who regularly interprets a large volume of tracings. Expertise of the interpreter therefore dictates the approach we recommend (Grauer: Practical Guide to ECG Interpretation; Mosby, St. Louis; pp 375-379, 1998). For the Non-Expert Interpreter — Do not initially read the computer report. Instead — WRITE OUT (or at least think out) your interpretation first. Check findings you note with each computer statement. Then delete, modify and/or add to the computer interpretation as needed. For the Expert Interpreter — Review the computer report either before or after evaluation of the ECG itself. Minimize time devoted to determination of heart rate, intervals and axis (since the computer is very accurate for these parameters). Consider more careful evaluation IF the rhythm is not sinus — or IF the ECG is interpreted by the computer as abnormal. Overread each computer statement. Place a check mark next to those that are accurate. Delete, modify or add to incorrect statements. KEY Point: The expert interpreter is not using the computerized report to “learn”. 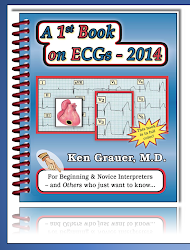 This is because by definition — the interpretation of an expert electrocardiographer is the “gold standard”. Since computerized systems are programmed by experts — the best they can realistically hope for is to put out interpretations that equal the level of accuracy of the expert that programmed them. 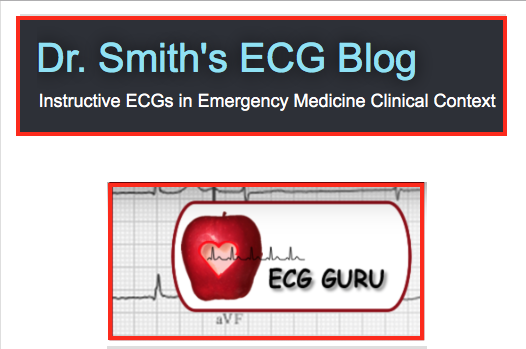 The Expert uses the computer: i) to save time; and ii) to prevent overlooking findings when forced to read many ECGs in a limited period of time. Less Experienced Interpreters do look to the computer to assist in accuracy. They are usually called on to read no more than one ECG at any one time. Therefore — the most important step for the non-expert is to first COVER UP the computerized report. It is otherwise all too easy to be biased by what the computer says. Used in this way — comparing one’s own interpretation with what the computer says optimally incorporates potential benefit from any discrepancy in interpretation that may exist. 13.3 – FIGURE 13.3-1: Do You Agree with the Computer? Perhaps the best way to illustrate potential pros and cons of computerized interpretations — is by clinical example. Consider the ECG shown in Figure 13.3‑1 — obtained from a 78 year old woman with atypical chest pain. The computerized interpretation was: Sinus rhythm; left axis (-10 degrees) — but otherwise “normal” ECG. Do you agree with the computerized interpretation? HINT: Be sure to interpret this ECG in its entirety by the systematic approach first — before you compare what the computer said with your interpretation. Figure 13.3-1: ECG obtained from a 78 year old woman with atypical chest pain. The computerized report interpreted this tracing as, “left axis but otherwise normal”. Do you agree with the computerized report? NOTE — Enlarge by clicking on the Figure. Answer to Figure 13.3-1: The rhythm is sinus. All intervals are normal. The axis is leftward (predominantly negative QRS in lead aVF) — but not negative enough to qualify as LAHB (since the QRS in lead II is still upright). No chamber enlargement. Regarding Q-R-S-T Changes — There are QS complexes in leads V1,V2. An r wave develops by lead V3 — and transition occurs normally between lead V3-to-V4. Although there is no more than minimal (at most) ST elevation — T waves are dramatically peaked in anterior precordial leads (especially in lead V2). There is shallow T inversion in lead III, and perhaps some nonspecific ST‑T wave flattening in lead aVF. IMPRESSION: This example highlights the importance of overreading the computerized interpretation after you have independently arrived at your own conclusion. This is not a “normal” ECG. That statement should be crossed out on the computerized report. This is because the computerized interpretation is a medical record — and statements you disagree with should therefore be crossed out. Clinical correlation is needed to determine the meaning of the abnormal findings you identified. Of Concern — is the fact that i) this woman is of a “certain age” (78 years old — so clearly old enough to have coronary disease); — and ii) she is having “chest pain” (even though it is described as “atypical” in nature). While not definitive — the QS complexes in leads V1,V2 could reflect septal infarction of uncertain age. This should at least be noted in your interpretation (it was ignored by the computerized report). There is marked T wave peaking — especially in leads V2,V3. This is not normal (despite also being ignored by the computerized report). Possible explanations for this abnormal T wave peaking include: i) Hyperkalemia (less likely because T wave peaking is not generalized and the base of these T waves is not narrow — but a serum K+ level should nevertheless be checked to rule this out); ii) Ischemia (which when posterior in location sometimes manifests as anterior T wave peaking); and iii) DeWinter T waves. Given the history of chest discomfort — we are most concerned with this 3rd possibility. While the J‑point ST depression that is usually seen with DeWinter T waves is missing in Figure 13.3‑1 — the ECG picture in this tracing is otherwise perfectly compatible with this harbinger sign of possible impending proximal LAD occlusion. BOTTOM Line: It might be easy to overlook the QS complexes in leads V1,V2 of this tracing IF you allowed the computerized report to bias you prior to rendering your own independent interpretation. Hopefully — you did not overlook the obviously abnormal T wave peaking in anterior leads that somehow escaped detection by the computer. Recognition of DeWinter T waves is indication for immediate cath/acute reperfusion — so this possibility mandates immediate attention. This would have been missed had the computer report been accepted without overread. Computerized interpretations can be extremely helpful to both expert and non-expert interpreters — but knowing HOW to use the computer report always assumes first priority. EDITORIAL COMMENT by the AUTHOR: Prior to researching this topic (references of my work below) — I thought computerized interpretations were a waste of time. However, once I learned to appreciate their benefits and drawbacks — I learned to love computerized interpretations. They literally tripled my speed of interpretation — especially when sinus rhythm and minimal abnormalities are present. On the other hand — I ignore what the computer says when the rhythm is anything other than sinus. I’m fully aware of the need to carefully overread early repolarization patterns and tracings on patients with chest pain. Finally — I’ve observed that when less experienced interpreters truly make an honest attempt to interpret the ECG first before they look at what the computer says — that accuracy is increased. Grauer K: Chapter 21 — Does the Computer Know Better? – from Grauer K: Practical Guide to ECG Interpretation (2nd Edition) – Mosby, St. Louis, 1998, pp 374-379. Grauer K, Kravitz L, Ariet M, Curry RW, Nelson WP, Marriott HJL: Potential Benefits of a Computer ECG Interpretation System for Primary Care Physicians in a Community Hospital. J Am Bd Fam Prac 1:17-24, 1989. Grauer K, Kravitz L, Curry RW, Ariet M: Computerized Electrocardiogram Interpretations: Are They Useful for the Family Physician? J Fam Prac 24:39-43, 1987. 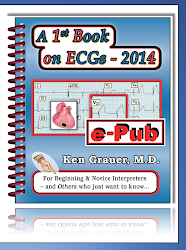 Grauer K, Curry RW: Chapter 11: Use of Computerized ECG Interpretation Programs. — from Clinical Electrocardiography (Grauer & Curry) — Blackwell Scientific Publications, Boston, 1992, pp 418-425. This 12-lead ECG (with accompanying long lead II rhythm strip), was obtained from a 44-year old man who presented to the ED (Emergency Department) with new-onset chest pain. He was hemodynamically stable at the time this tracing was recorded. If no other history was available — How would you interpret this ECG? What do you suspect is going on clinically? Figure-1: 12-lead ECG (with long lead II rhythm strip) obtained from a 44-year old man with new-onset chest pain. How would you interpret this ECG? What do you suspect is going on clinically? NOTE — Enlarge by clicking on Figures. We are told the patient was hemodynamically stable at the time this tracing was recorded. The “good news” — is that at least we have some time to work through our interpretation without need for instant intervention. Quick perusal of the 12-lead ECG suggests that the QRS complex is markedly widened, at least in most leads on the tracing. The reason the QRS complex does not initially appear to be wide in lead II — is that the terminal part of the QRS in this lead is nearly isoelectric to the baseline. That this is the case should be obvious from comparison of lead II with simultaneously-recorded leads I and III. Thus, although the QRS complex does not appear to be wide in the long lead II rhythm strip at the bottom of this tracing — the QRS is wide! Figure-2: The 12-lead ECG in Figure-1 (with accompanying long lead II rhythm strip at the bottom) — has been labeled. Colored arrows indicate atrial activity. The beats in the rhythm strip have been numbered (See text). In “real life” — I draw in arrows on a copy of the original tracing to facilitate instant recognition of atrial activity (Figure-2). I routinely use calipers to accomplish this — keeping in mind that there may often be slight variability in regularity of an underlying sinus mechanism rhythm (ie, sinus arrhythmia). Numbering the beats greatly facilitates discussion of complex arrhythmias with colleagues. I chose different colors for the P wave arrows I drew in here purely for educational purposes. More than the “color” — what counts is determining whether there is or is not an underlying sinus mechanism vs an ectopic atrial mechanism, retrograde atrial activity — or, some combination of these features. Finally — Remember that sinus (ie, forward-conducting) P waves should be upright in lead II (as well as in other inferior leads). In contrast, retrograde P waves should be negative in lead II. Retrograde P waves will also typically be upright in leads aVR and V1. Returning to the rhythm in this case — the QRS complex is wide, sinus P waves are absent — and, the R-R interval is fairly regular at a rate of ~80/minute for at least the first 10 beats on the tracing (Figure-2). These features define this initial part of the tracing as AIVR (Accelerated IdioVentricular Rhythm). There is clear suggestion of ST segment elevation in leads I and aVL, in association with Q waves and deep symmetric T wave inversion. These features are not “normal” for a simple ventricular rhythm. The important point — is that at times, you may see QRS and ST-T wave changes in ventricular beats (or ventricular rhythms) that reflect ongoing ischemia/infarction. So, even though assessment of acute cardiac ECG changes is always more difficult in the presence of QRS widening from conduction defects, ventricular pacing, or ectopic ventricular beats — it is not impossible. QRST appearance of the AIVR rhythm in leads I and aVL of Figure-2 is virtually diagnostic of an acute STEMI (ST Elevation Myocardial Infarction) in evolution. Support of this diagnosis is forthcoming from: i) suggestion of reciprocal ST-T wave change in lead III; ii) what looks to be disproportionate J-point ST elevation for the AIVR beats in anterior leads V1,V2,V3; and iii) what is happening in leads V4,V5,V6 (See below). That said, there is an unmistakable double-hump following the QRS complex for at least the first several beats on the tracing. This looks to be real — and almost certainly represents atrial activity. I did not think this represented retrograde atrial activity — because the initial extra humps (WHITE arrows) are positive in this lead II rhythm strip. The KEY — is beat #14, which is clearly preceded by an upright P wave with normal PR interval (RED arrow). Beat #14 is a sinus capture beat. An upright P wave also precedes beat #13. However, the PR interval preceding beat #13 is clearly too short for normal conduction. Beat #13 is a fusion beat — in which the P wave preceding it (RED arrow) begins to conduct normally, but before travel through the ventricles is complete, the impulse fuses with a ventricular impulse arising from below at the site of the AIVR. The reason sinus P waves appear after the QRS for the first 12 beats on this tracing — and only appear before the QRS for beats #13 and 14 — is that there is AV dissociation with an atrial rate that is close to the escape rate of the accelerated ventricular rhythm. Although initially, the RP’ interval (ie, distance from the QRS to the extra hump indicated by WHITE arrows) appears to be constant — beginning with the DARK BLUE arrows, we can see shortening of the RP’ interval. 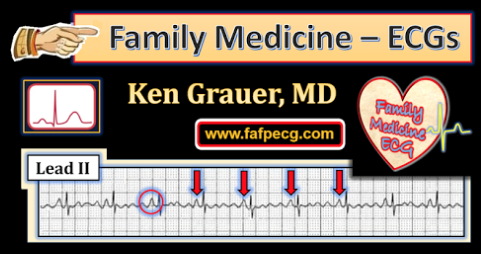 That the P waves appearing under each ARROW are not related to their neighboring QRS complex becomes obvious with onset of the LIGHT BLUE arrows, which clearly show these sinus P waves now receding backward to soon be hidden within the QRS complex. Finally, there is emergence of P waves from the QRS to a position preceding the QRS complex — resulting in partial conduction (fusion beat #13) and normal conduction (with the sinus capture beat #14). 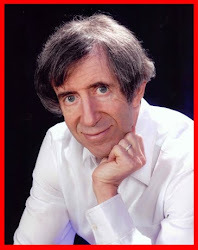 What does Sinus Beat #14 Show in Simultaneous Leads? There is only 1 beat on this tracing that is entirely sinus conducted = beat #14. As a result, we focus on this beat #14 in simultaneously-recorded leads V4,V5,V6 to assess QRST morphology — since this is the only beat on the entire tracing that is not of ventricular origin. Unfortunately, the tracing in Figure-2 is cut off before completion of the ST-T wave for this last beat … In addition, the part of the ST segment that we see for beat #14 in lead V5 and lead II looks to be flat, most probably due to technical issues (and, inappropriate R wave progression in lead V5 suggests this electrode may be malpositioned ... ). But, we DO get a good look at the QRS complex and most of the ST-T wave in leads V4 and V6 for this sinus-conducted beat #14. Note there is no more than a vestigial (tiny) r wave in lead V4, with ST coving in this lead. The QRS complex is tiny in lead V6 for beat #14 — with presence of a probably significant Q wave and disproportionate (hyperacute) ST segment coving. In association with the ST-T wave changes described earlier in the other 9 leads for this patient with new-onset chest pain — these findings in leads V4 and V6 support our presumption of an acutely evolving antero-lateral STEMI. Remember that AIVR is an extremely common reperfusion rhythm in the setting of evolving STEMI. Final Impression: Putting the “pieces” discussed above together — I thought the ECG in Figure-1 was highly suggestive of acute evolving STEMI, with probable reperfusion based on the presence of the AIVR rhythm. Maximal ST elevation in leads V2,V3 — in association with residual ST elevation in leads I,aVL plus reciprocal changes in leads III, aVF — suggest the proximal LAD (Left Anterior Descending) as the "culprit" artery. Clinical Follow-Up: I later found out that the ECG in Figure-1 was obtained following thrombolysis with streptokinase of a large acute stemi. 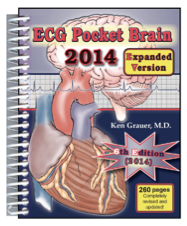 Acknowledgment: — My thanks to Haseeb Raza Naqvi (from Multan, Pakistan) for his permission to use this case and ECG.